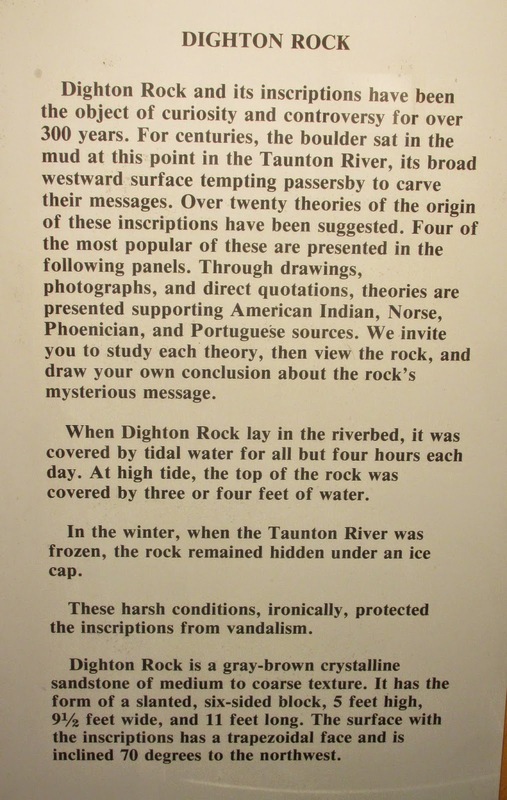 I'd last visited Dighton Rock in June of 2012 when I paddled there from Weir Park in Taunton only to find the doors to the museum locked. Yesterday I paddled to the Dighton Rock Museum (at left) from the village of Assonet (in Freetown, MA) and arrived to find that the door was open. Well actually a park employee was just locking it but graciously allowed me some additional time. Some say the island is named for secret plotting that may have occurred here prior to the outbreak of King Philip's War. The photo shows the upper right section where I could make out what appears to be a thunder bird and a couple of faces. Other images along with some kind of text cover the rock's face. Now the images will swirl around inside my head and, with some beneficial fermentation, the mystery should soon be solved. Shortly I was back at Hathaway Park and reflecting on a pleasant day spent messing about on the water. Ospreys, gulls, and cormorants were plentiful. Aside from the trash collected at Broad Cove, the shorelines of both rivers were relatively spotless. 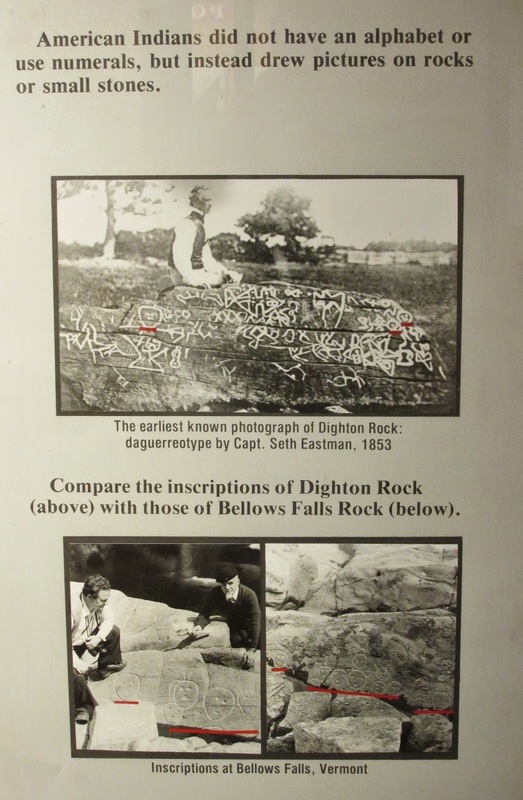 As to the meaning of the inscriptions on Dighton Rock, I believe the local Native Americans created a multi-lingual message to their visitors: "We hope you enjoyed your visit. Please have a safe trip home". A beautiful site, worth it for the amazing stone bridge alone. Wonderful translation of the mystery rock, but I think you. Forgot the part that offers blessings on those who keep the waters clean.